The light from a laser (even one of the original lasers) is so bright that materials respond to it in unfamiliar ways. 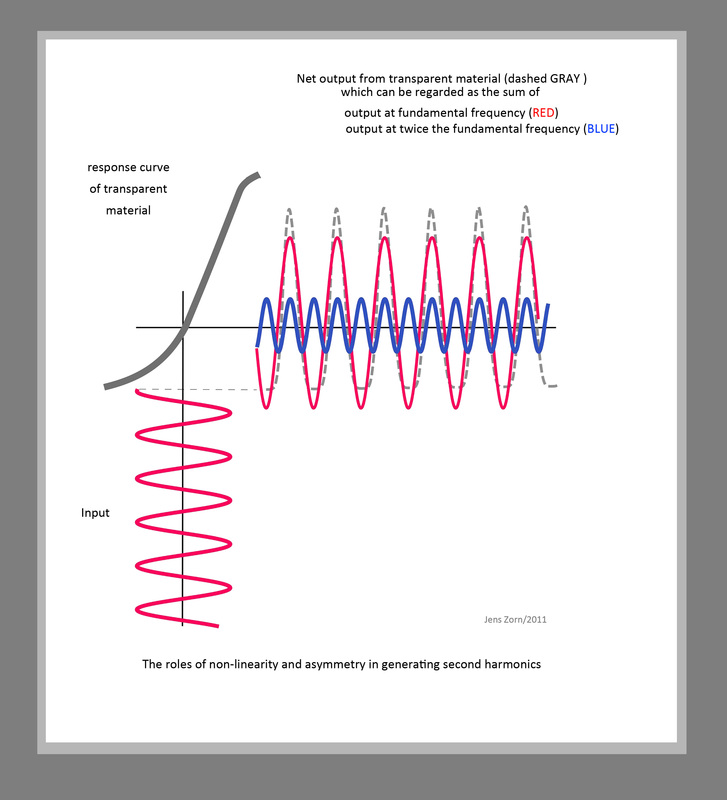 In 1963 workers at the University of Michigan [Professors Peter Franken, Wilbur Peters and Gabriel Weinreich together with the undergraduate Alan Hill] were the first to show that intense red light applied to an antisymmetric, non-linear crystal could generate significant amounts of blue light. 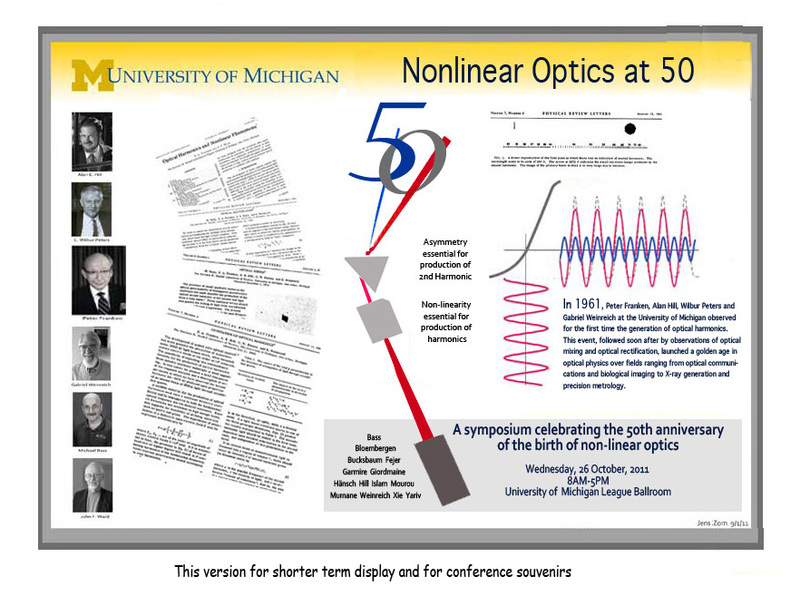 This work is the cornerstone of modern non-linear optics and deserves to be prominently celebrated on our campus. My sculpture represents the absorption of long wavelength radiation (red) with the concomitant emergence of radiation (blue) at half the wavelength. Following some sketches and preliminary constructions, Fran and I built a full-scale maquette from painted wood sheets and installed it temporarily on one of the grassy ovals of the East University mall. From these photographs one can see the manner in which the sculpture matches the scale of the available space. 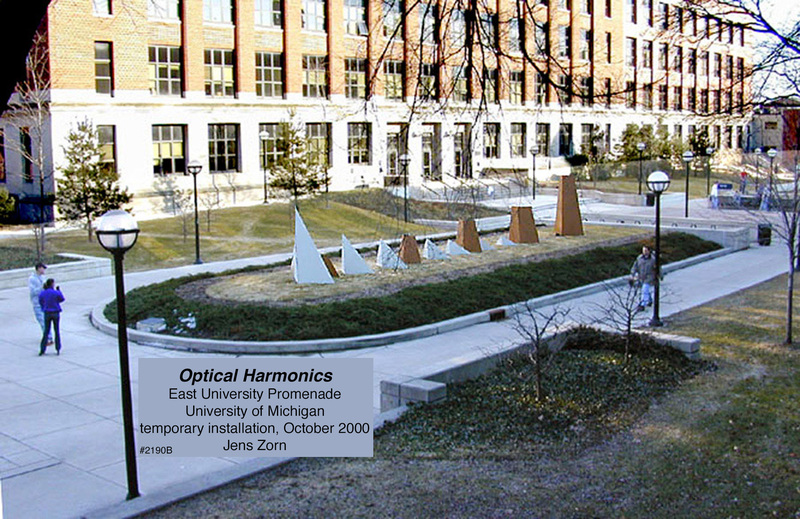 The elements in the optical harmonics sculpture are up to 8 feet tall and would have be impracticably heavy if made of solid metal at that scale; we propose monocoque construction to overcome this problem . Also, the site would require special preparation to assure a stable and level area for alignment of the sculptural elements. 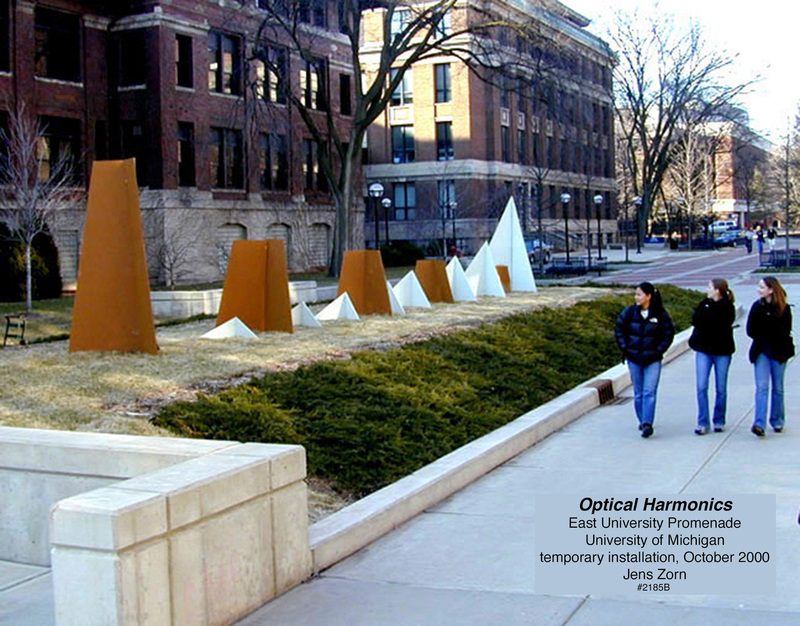 The budget for construction of this sculpture will be in the range $70,000-100,000, but we should be able to find support for this from the students and friends of the physicists whose work is being honored. 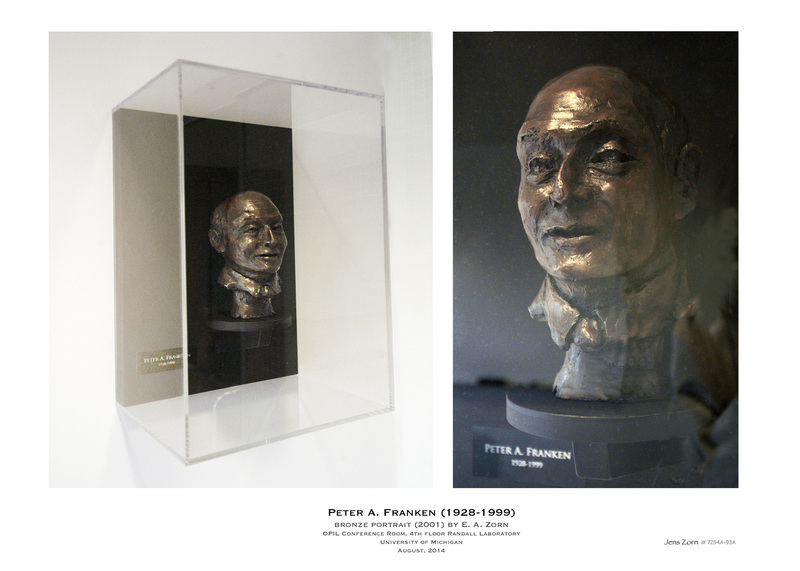 Peter Franken (1927-1999), an astonishingly creative atomic physicist, was the mainspring of atomic and optical physics at Michigan over the years 1955-1972. In 2002 Liz Zorn, my sister, did a clay portrait of Franken that was cast in bronze and later (2014) installed in an AMO conference room on the 4th floor of New Randall.